Properties in Leeward I average 4.7 out of 5 stars. 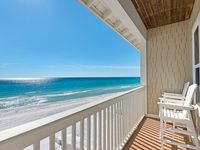 Leeward I Unit 8- Amazing views ~ Located in Beautiful Seagrove Beach! 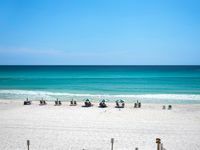 Property 1: Leeward I Unit 8- Amazing views ~ Located in Beautiful Seagrove Beach! Leeward II #3 in Seagrove- BEACHFRONT... only STEPS from the Beach in 30A! Property 2: Leeward II #3 in Seagrove- BEACHFRONT... only STEPS from the Beach in 30A! LEEWARD I UNIT 5: Cozy Gulf Front Condo located near Eastern Lake!! Property 3: LEEWARD I UNIT 5: Cozy Gulf Front Condo located near Eastern Lake!! LEEWARD I UNIT 7: Gulf Front Condo with Amazing Views of the Gulf!! Property 5: LEEWARD I UNIT 7: Gulf Front Condo with Amazing Views of the Gulf!! GULF FRONT, BEACH CHAIRS Included, BEACH! Between Rosemary Beach and Seaside! Property 8: GULF FRONT, BEACH CHAIRS Included, BEACH! Between Rosemary Beach and Seaside! Paradise30A~Leeward II #5 ~ BEACHFRONT ~ Steps to the Beach! Close to Seaside! Property 11: Paradise30A~Leeward II #5 ~ BEACHFRONT ~ Steps to the Beach! Close to Seaside! Beachfront Condo - ground floor and steps to the beach! Property 15: Beachfront Condo - ground floor and steps to the beach! It was fantastic in every way! Perfect weather! Perfect food! Would highly recommend and Glady stay there again. Condo was clean and well kept! Would stay there again!